^ Christopher Wang, "Colonial Architecture of the Viceroyalty of Peru: The necessary and continued role of the indigenous in Christianity." Accessed 13.08.2013. 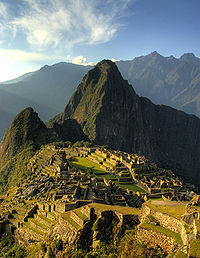 This article related to Peru is a stub. You can help Wikipedia by expanding it. This page was last edited on 10 April 2019, at 11:40 (UTC).